This book is a wonderful time capsule. 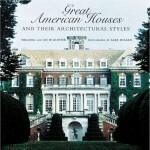 If you loved the magazine Colonial Homes (which later became Classic Homes) you’ll enjoy this book. I miss Classic Homes (previously Colonial Homes) so this book gives me a small way to hold onto one of my all time favorite magazines. The early issues of Classic Homes (when the magazine was called Colonial Homes) were always like a visit to Colonial Williamsburg. Before the magazine actually changed its name to Classic Homes, it had already begun transitioning away from decor that strictly looked like that from colonial days toward a more classic, traditional style. 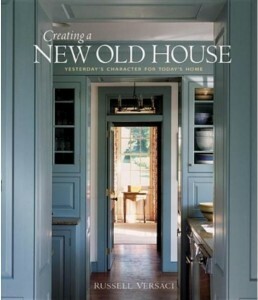 This book is a mixture of both colonial style interiors and traditional style interiors. 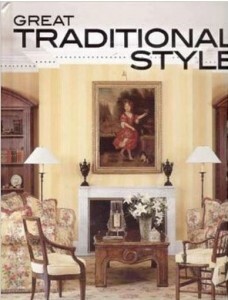 You won’t find any modern looking interiors masquerading as traditional style in this book. The book is laid out in a somewhat unique fashion. The author breaks down each element of the classic, traditional home. It’s really an education in that style, as well as a joy to read and view. 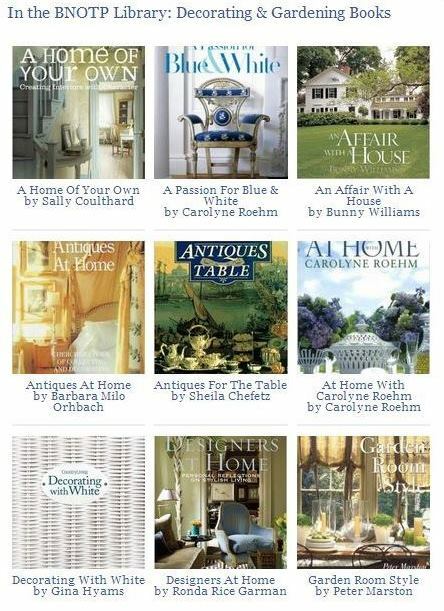 The chapters are: Classic Style, Color & Pattern, Fabric & Textiles, Furniture and Finishing Touches. Photography is beautiful, not over-staged and cold like so many interiors look in today’s magazines. The book is filled with beautiful interiors, and antiques, wonderful art and stunning murals and lots of gorgeous fabrics/textiles. 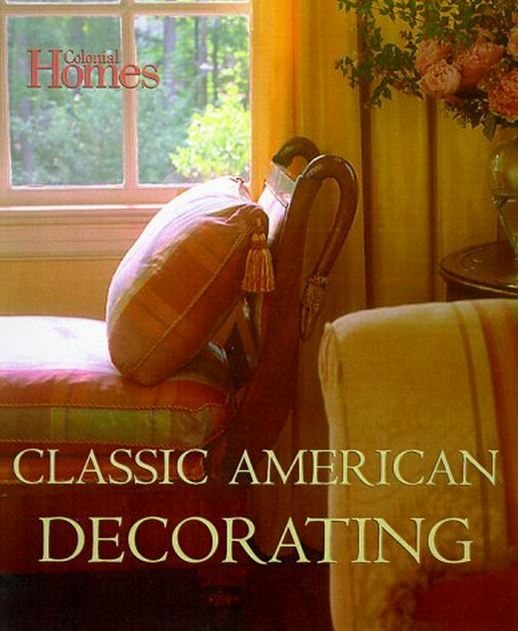 A great book for anyone who loves classic, traditional home decor. I think this is a book I need to buy. 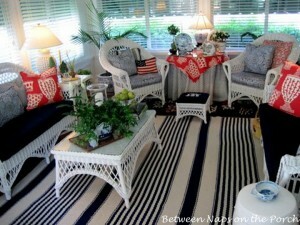 I love a home that is traditionally decorated more than a modern look. Well except for that one family room/den area that has a lived in feel. I still want to have a formal living room and dining room. I loved that magazine and am so sad you can’t find anything like it at all any more so,i would love to have that book,thanks Susan. Are you sleeping at night or too excited? I loved that magazine. Years ago in our early years of marriage, my husband and I used to look at it together and dream. Some of those house decorating dreams have come true! Thanks for posting about this book! Linda, I know what you mean…I used to drool over it regularly. lol I know it had a tremendous influence on the furniture I chose and how I decorated my home.